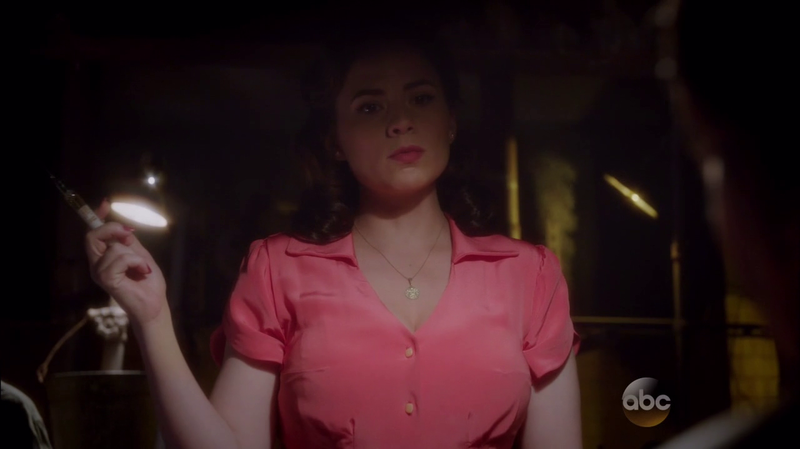 Peggy Carter’s life is one of adventure. That is no surprise. What may come as a surprise, however, is that this was not always the case. Episode four pushes the plot of season two forward, but it also gives us a chance to look backward. Through scattered flashbacks, we see Peggy’s journey to becoming an agent. 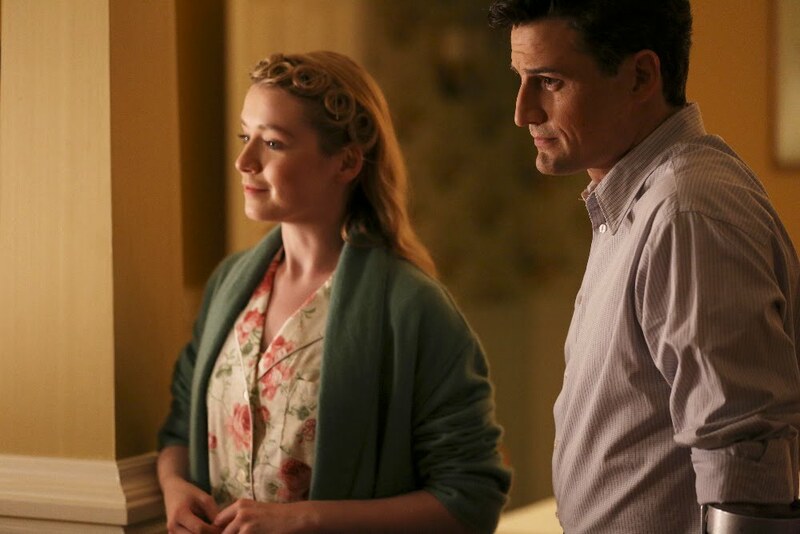 In the midst of World War II, the younger Margaret Carter is a code breaker in the historic Bletchley Park. She’s doing her part to fight for her side, albeit it from behind the front lines. Then comes a life-changing offer. Someone has recommended her for fieldwork. Margaret refuses, saying it isn’t a good fit. Besides, she’s recently become engaged. She can’t just leave her fiancé to accept such a dangerous mission. At her engagement party we learn that her dear brother Michael recommended her for the post. “You are meant to fight,” he tells her. “Stop trying to be someone you’re not.” Margaret isn’t convinced. Even though she and Michael were equals in childhood, their lives are very different now. Michael is enlisted in the military. He is meant for the front. Margaret Carter and her fiancé Fred are not. Both of them aid the war effort from behind the lines. 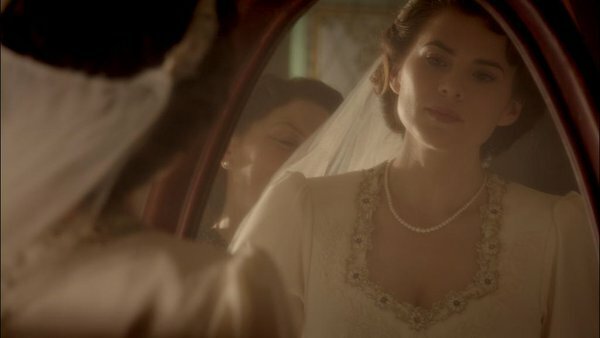 That is, until Margaret’s wedding day arrives… Along with tragic news. Her brother isn’t coming home. Michael was killed on the front lines. This tragedy is what spurs his grief-stricken sister to call off her marriage to a man she doesn’t really love. 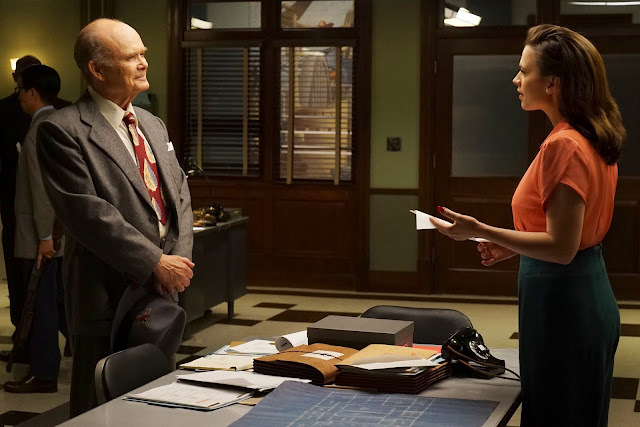 Margaret becomes Agent Peggy Carter and the rest is history. Speaking of history, we also see some of Whitney Frost’s origin story. 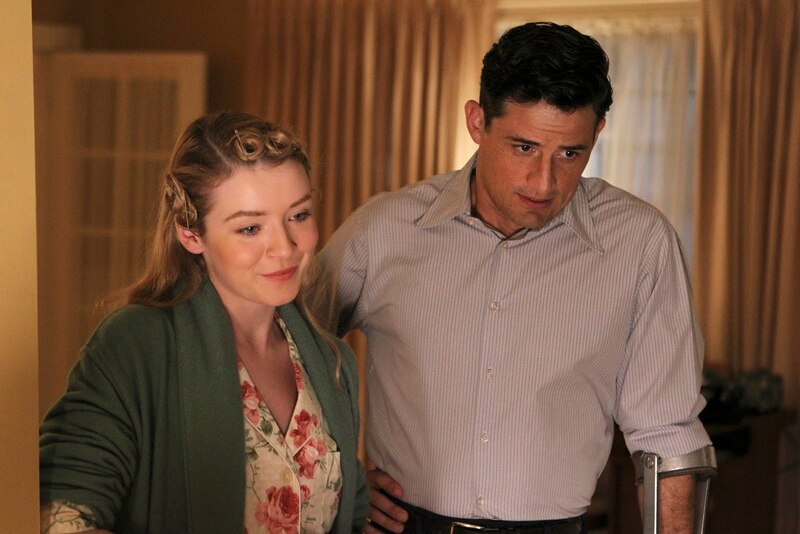 She grows up as the brainy but misfit Agnes Culley. Her mother doesn’t appreciate her intelligence, however. 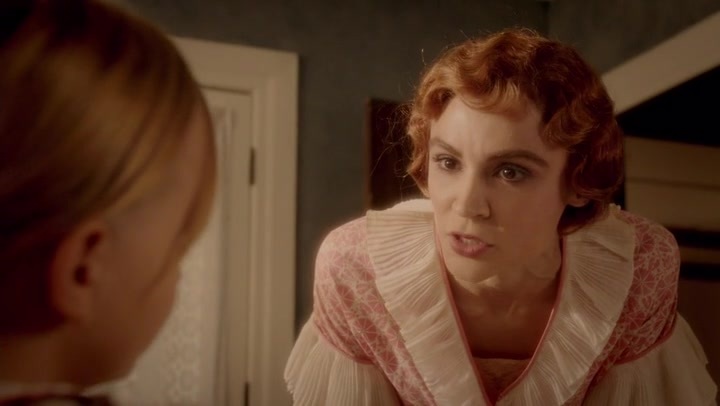 Bitter by life’s hardship and accustomed only to unsavory men, Mrs. Culley scoffs at her daughter’s inventiveness and instead tells her she should be focused on her appearance. Years later, Agnes encounters a talent scout in the streets of Hollywood. With a little smooth talk, the man convinces her to give show business a try. He also insists she trade in the name Agnes for something more appealing. Enter Whitney Frost. I really appreciated the expansion of backstory for both Peggy and Whitney/Agnes. 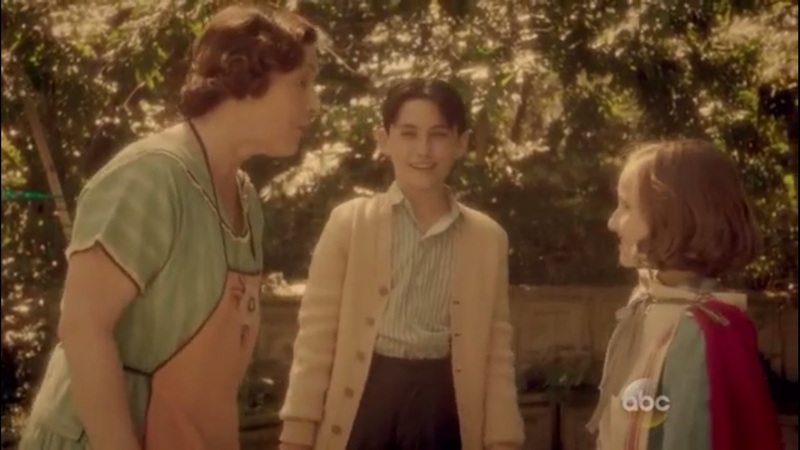 In Season One, we witnessed the horrific making of Dottie Underwood. I wanted to understand more of Peggy, though, so the glimpse into her pre-Agent days was both intriguing and touching. As for Whitney, I still can’t stand her. However, her descent into villainy does make more sense now. “The Chadwicks appear to have built quite a formidable wall around them,” Jarvis observes. This is true. Along with the Arena’s Council of the Nine, Calvin and Whitney have Rufus Hunt as their personal thug. 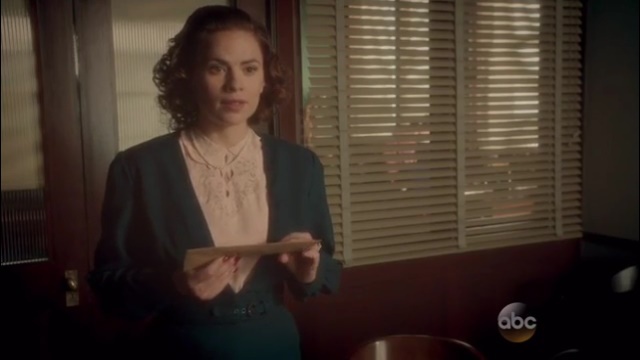 Aided as always by Jarvis, Peggy decides to kidnap Mr. Hunt as a way to get information. By bluffing and using another Stark concoction gone awry, Peggy pries information from him regarding the Council of the Nine. 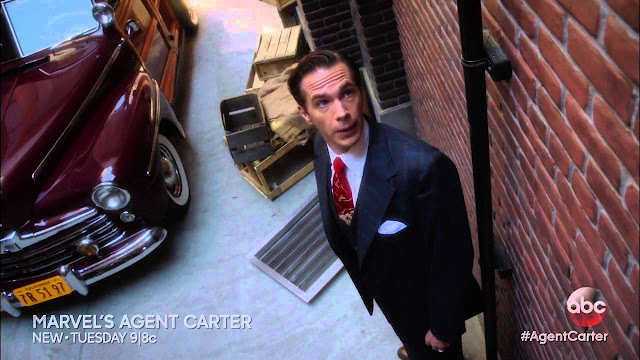 Once he’s free of Peggy and Sousa, Rufus Hunt believes he’s escaped with his life. Alas, he didn’t bank on the terror that is Whitney Frost. He becomes her next Zero Matter victim. Chief Sousa continues to look out for Agent Carter and is preparing to assist her with raiding the Arena club. He even gets a search warrant by calling in a favor from a friend. Weapons at the ready, the LA branch of the SSR is prepared for action. Then the FBI shows up with an audit to shut down the raid. We’re left with high tension at the end of episode four. And then there’s episode five. Dr. Jason Wilks is still hard at work researching Zero Matter. He wakes Peggy late one night to bring her to the lab over his latest finding. He has a tissue sample from Jane Scott, the young woman found frozen in the lake in Episode 1. Oddly enough, this sample is drawn to Jason. It turns out to be Zero Matter. Similar to Whitney’s absorption of living things, the tissue sample is absorbed into Dr. Wilks. This small amount of Zero Matter makes the doctor temporarily tangible again. If this small amount of tissue from Jane Scott can have such an impact, what would the rest of the Zero Matter inside her do? 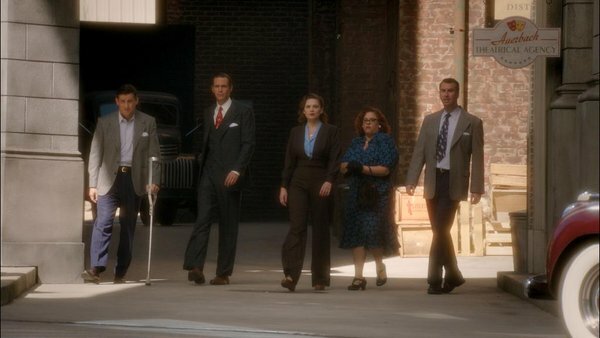 “Does Howard have a hearse?” Peggy asks Jarvis. “We’re going to steal Jane Scott’s body.” It turns out that Jane’s body is being hidden in County Cold Storage, which happens to be owned by a friend of Calvin Chadwick. Peggy and Jarvis sneak in, despite some complaints from the British butler. “Me? In the vent?” He protests. “Isn’t that why you wore your recreation tie?” Peggy counters. They’re too late, however. Whitney Frost arrives first. Though her husband is understandably horrified, Whitney claims that the Zero Matter “called me here. It wants to be let out.” As Peggy and Jarvis observe unseen from the vent, Whitney absorbs all the Zero Matter from Jane’s corpse. The stuff courses through her and sparks her next idea. “I need an atomic bomb,” she announces, as if saying she needs a cup of coffee. 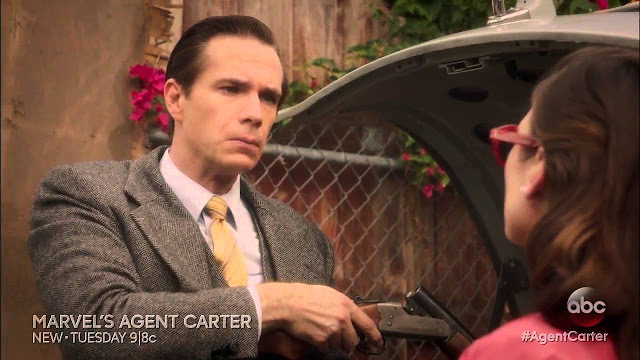 When Peggy and Jarvis report back, Jason Wilks quickly pieces the clues together. Whitney is trying to recreate the Isodyne Atomic test responsible for Zero Matter. Equipped with a memory inhibitor and disguised as “Wanda,” Peggy figures out who is supplying the uranium. Peggy can’t call in SSR Agents this time since it’s impossible to tell which ones are trustworthy. 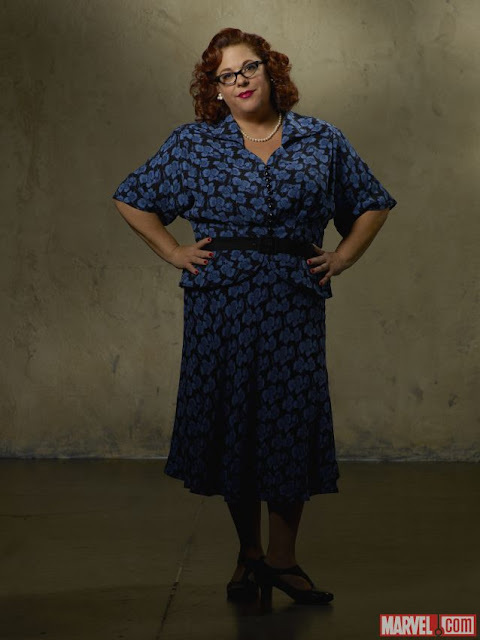 Instead, she turns to Rose, the feisty secretary of the LA branch. Chief Sousa balks at the notion until Peggy tells him, “It’s funny, I’m seeing Daniel Sousa but hearing Jack Thompson.” Rose has received the same training as a field agent, Peg argues, and is someone they can trust. Daniel relents, and Rose’s somewhat unexpected help is enlisted. Along with her comes the scientist Dr. Sanberly. Rather a stodgy character, the scientist has a soft spot for Rose and refuses to be left out of the action. Despite some doubts from Sousa and Jarvis, Rose and Sanberly manage to get the team inside the secret facility. Rose demonstrates that her skills go further than typing and ushering in appointments. She can actually fight, in a Peggy-esque style. I loved seeing her get in on the action. Inadvertently, Jarvis gets stuck right in the midst of the tension. He finds himself locked in the room housing the bombs. Dr. Sanberly works to disarm the lock, cheered on by Rose. Time is running short, however, and Jarvis must step in to complete the task of getting the bombs into their transport crate. Sousa encourages him from the other side of the door, telling the butler it’s just like making a soufflé. It quickly becomes clear that for all Peggy’s skill, she can’t overpower Whitney in a fight. Whitney is moments away from killing Peg when the agent elects to fall from a ledge rather than be destroyed by the actress. Calvin Chadwick finally steps in and hurries his deranged wife away. His task completed, Jarvis informs Chief Sousa, “That was nothing like making a soufflé.” The butler, secretary and scientist carry the bombs away while the chief rushes off to find Peggy. He discovers her on the floor, impaled and in critical condition. Since even the hospital doesn’t seem safe, Daniel does the only thing he can think of. He takes Peggy to Nurse Violet’s house. By this point, I’m no longer suspicious of the sweet nurse. She doesn’t seem to be hiding anything after all. Apparently all my imaginary agent work has caused me to be overly suspicious. “You sure it wasn’t a broken heart?” Thompson challenges. Violet echoes something similar, telling Daniel he didn’t move to LA just for a new start. He moved to get away from Peggy. I feel completely sorry for Violet and really guilty for ever doubting her goodness. I also feel guilty that I started shipping Daniel and Peggy ever so slightly. ONLY SLIGHTLY, PEOPLE. Shortly after this exchange, the team leaves Violet, not wanting to place her in any further danger. Back home, Jarvis affectionately tucks Peggy in with a few too many blankets. “These adventures are only enjoyable if you return from them,” he tells her. After Jarvis leaves her to rest, Jason remains. Peggy confides that being touched by Whitney was more agonizing than being impaled. “The place Zero Matter comes from is dark, painful,” Jason tells her. The moment is lightened slightly when Jason’s favorite song comes on the radio. 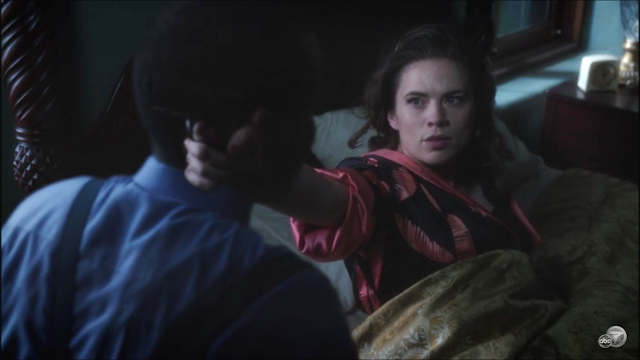 When Peggy remarks on it, telling him, “It’s your song, I Want to be Loved,” he quietly replies, “Don’t we all?” The tender moment (still not shipping them but whatever) is shattered when Jason disappears into thin air. Will he ever recover from the effects of Zero Matter? Can Whitney Frost be stopped? These are the burning questions Episode 5 leaves us with. Tune in to the double feature of Episodes 6 & 7 for answers! One teaser: Dottie Underwood is coming back at last. I never thought I’d want to see her again, but I predicted she would be lethal in taking down Whitney. I’m sort of excited about seeing our old enemy go after our new one. What else awaits us? Double up and let’s find out how it goes down!